The Campos family, one of the richest families in the country, has gained control of US Del Monte Foods. 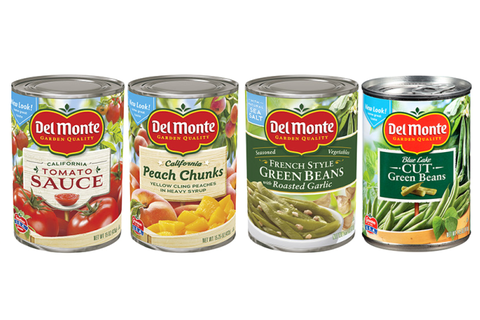 The Philippines-based Del Monte Pacific now owns the US-based canned food maker after the completion of a recent acquisition deal. <>There is an emerging trend in the global corporate scene today: numerous major Asian companies buy troubled US businesses. Such cash-rich firms are now actively seeking investment opportunities in developed nations like the US for possible acquisitions in various industries, from automotive parts to food. Del Monte Pacific Ltd---which is majority-owned by one of the country’s wealthiest families, the Campos family---has acquired the food canning business of US Del Monte Foods for around P74 billion ($1.68 billion). It has become the latest in a series of acquisitions in the US by homegrown Asian conglomerates. According to Del Monte Pacific chairman Rolando Gapud, the acquisition would provide the company with a ‘solid growth platform.’ It is expected to supplement Del Monte Pacific’s achievements in the expanding Asian markets. He added, “It will also provide longer-term opportunities in the emerging markets of South America.” Del Monte Foods currently has a 26% market share in the US’ canned-fruit market. The Philippines-based Del Monte business is 67%-owned by another Filipino company, NutriAsia Pacific Ltd, a firm that manufactures and distributes liquid condiments, cooking oil, and specialty sauces. The NutriAsia Group is controlled by the Campos family. The opulent Campos family is presently the 18th richest family locally. This is according to data from Forbes. The Camposes has a collective net worth of about $900 million to date. Although they share the same name, Del Monte Pacific and US Del Monte Foods were not related until the deal came. Ironically, the US Del Monte Foods founded Del Monte Pacific in 1926. The US-based company entirely sold out the Asian business in 1996. Meanwhile, the US Del Monte was privatized in 2011. Since then, performance of its canned-food manufacturing unit has been slowing down, mostly due to staggering sales and rising costs. The business has also been declining amid intense competition from private-label rivals. After the completion of the sale, the US-based Del Monte renamed itself as Big Heart Pet Brands. This change reflects the company’s decision to focus on its lucrative pet food business. The newly renamed firm now aims to be the biggest standalone pet food manufacturer and snacks company in the entire North America.